We speak in the capacity of a warrantor in every deal you make and therefore you are completely protected against fraud! You will receive money in full correspondence with the set price and will be able to withdraw it or to spend it purchasing other lots. The interface of our website had been developed for fast selling of goods from your Steam™ Inventory. In seconds flat you can offer dozens of items for selling. Best specialists in WEB-industry are continuously optimizing the work of the site to increase its speed and make it more comfortable. SteamBroker.com service is being owned by a legal entity registered in Europe. We operate on the most modern and save servers in the best data-centers of the world. All financial operations occur in the correspondence with the European legislation and hence your money is well protected. The transfer of items inside the Steam™ system is based on the mechanism of “trade offers”. First requirement to the successful purchase supervenes from it – your account should have the option for receiving the “trade offers” inside the Steam™. You can check this function following present link in order to try sending the trade offer to our bot. If you can see the items of our bot then the trade function of your account works properly. Otherwise you will see the error report. Visit the support section of Steam™ website for more information about the reasons of failure in exchange. 2. Steam Escrow and trade holds. Starting 9'th December 2015 Steam™ implemented new security system "Steam Escrow". 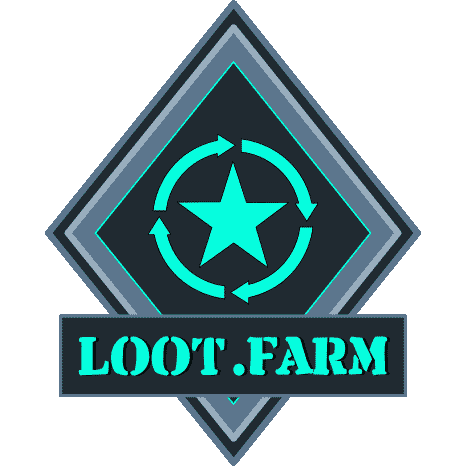 This function is allow to protect your inventory items and set additional athentication of every trade using Steam application in your mobile device. If you will not set this protection, Steam holds every trade made for 3 days. As you understand, this is not acceptable then you want to sell items in our service. Buyers want to get paid item as soon as possible. Instruction how to activate this protection you can find on Steam Support website on THIS PAGE or THIS PAGE. 3. Set the public status of the Inventory on Steam™. The second condition for appropriate performance of our service is the installation of rights to view your Inventory to third-party resources. To open the Inventory you need to go to "My Privacy Settings" on Steam™. On this page, you need to install the Inventory in the Public - Viewable by anyone on the World-Wide Web position and save the settings. Important Note: our service, unlike others, will operate even if you leave the Profile status Private or opened just for friends and leave the Inventory the only opened part. Thanks to these settings your privacy will not be affected and the profile will not be visible to everyone on the Internet. For our bot to be able to send a trade offer, you need to set Trade URL in the "Settings" of your account. Set the "Secret phrase" in this section as well. Always check for this passphrase while accepting the request for the transfer of items on our website, and do not report it to anyone else. If the scammer sends you an offer through the Steam system from his account, you can identify him if the phrase is incorrect or not present. Note: The safest way to accept an trade offer is to use the link on exchange from our website in the section "ITEM TRANSFER" in your account. Also to make sales easier it is highly recommended to configure alerts by E-mail, and in browser. Our alert messages are being sent in a very compact form, which allows you to conveniently use them to transport to your cell phone using gateways Email-2-SMS (this service offered free of charge by most cellphone companies. You will immediately receive a notification in case of selling of any of your items and will be able to transfer purchased thing to the buyer. After setting the account you can click the section "SELL" to set prices of your items you want to sell. Attention: Our service doesn’t store your goods; it just checks whether you have a certain item and saves the price that you want to receive. You will give the item away only in the moment when the buyer will be found. The “SELL” section is subdivided according to games. To go to the items of a particular game, click its icon in the list. After this, you will see a table below. The table will show the items that available for transferring. Note: Once again we emphasize that the table displays only the items that do not have a "Not Tradable" mark, on Steam. Goods are being set prices wholesale. It means that you have to fill in the prices in the table named “Not selling items” , and after this procedure you need to send all the data . This allows you to set many things at a time, which would definitely be time-saving. And the use of such functions as "grouping of identical items" and "filling in the prices from Steam" allows you to set hundreds of items in a few seconds. For more information we strongly recommend you to read the useful tips on the “SELL" page. For that open the unit hidden under the link "Open help section". All tables on the “SELL” page can be sorted in any column. To do this, click on the desired column header. Click again to switch order. When sorting by price the whole "bundle" of identical items is used. You can even sort the column "Image" as it will display the same things with different quality and names in certain order. Items with set prices are being displayed in the “Selling items” table. You can also change several prices at once in this table, as well as use all instruments available. For example you can use sorting and the option “Fill in the prices from Steam”. Prices are being checked on the "Steam marketplace" every few hours. If you cannot see a certain item in the table, but you remember its name – start entering the name in the field named “Filter by name”. And you will see the set of items, whose names are contains the phrase you have entered. Hovering a cursor over the name of the item you will open a pop-up window with detailed description of the lot, including runes, stickers and other additional data. Attention: The price you are specifying on our site will be displayed and available for buyers. In case the item is sold the site fee will be deducted from this price, and you will get less than you had specified. Our fee starts at 10% and gradually decreases depending on the amount you received for the sold items. For more information about discounts on the commission read in the "DISCOUNTS" section. 6. Don’t miss your buyer. After setting items they start to appear on our site. It is desirable to keep the tab with our website open and not to leave the computer. If you will stay Online it will be shown to buyers and they will highly likely prefer your proposal to Offline sellers. If the buyer confirms the purchase of your item - you will hear a notification sound and the information about necessity of transferring the purchased item will be displayed. Also E-mail notification will be sent. In case you had closed browser or switched off the computer, your item would still be displayed, though with the Offline status. Note: You are given 30 minutes for the transfer of items to the buyer. After this time the buyer receives the right to cancel the deal. Upon cancellation you will be credited with an unsuccessful transaction, which is bad for your reputation of the seller. Your discount on commission on the sale will be decreased as well. Namely, the doubled price of an item that had not been transferred will be deducted from the accumulated amount of sales, on the basis of which the discount is being calculated. There is a function of a "Pause" in the "SELL" section (the button with the pause icon) that will help you avoiding penalties. When you click on this button the displaying of your items from all games on the site is being stopped, but your set prices are saved and you can always restart the sale. We strongly recommend you using this function if you are unable to transfer goods for a certain period of time. For example you are advised to use it if you are going to bed and switch it off when you are online again. Additional note: Your goods will automatically be transferred to the status of “Pause” if you haven’t visited the site for more than 24 hours. 7. Transfer sold items to our bot. After receiving the notification that a buyer for your item has emerged - you have to pass it to our bot (Steam service account). You can pass a few items at a time. To transfer the items go to the section named “Item transfer” in your account. You will see the status of all purchases and sales that are in the status of the transmission with bots on this page. Your sold items will be displayed in the "Sold Out" section. For our bot to send you a request for the transfer of things - click the "Transfer items to our Steam bot" and wait until you see the message "The trade offer has been send successully". After that, you will see your sold items circled by a frame with a number in the corner. This frame combines the items on which the trade offer has been sent on our bot and the number of offer on Steam. Now you have to accept this trade offer. The easiest way to do it is to click on any item in the frame, or on the number in the corner. Doing this you will open a standard Steam window of trade in a new tab; there will be a proposal to transfer the items sold on our service account in this window. Be sure to check your passphrase from your account settings in offer comment. Check the box "Confirm trade contents", approve that this is a gift (as you pass an item but do not take anything in exchange), and then click "Accept Trade" button below. Our bot will receive your item in couple of minutes, after that it will be transferred to the buyer and you will receive money in amount of the price of the item deducted on the sum of the service fee on your account. The sum of your sells, which is being taken into account while calculating the service fee, will be increased as well as the Counter of your successful sells that is displayed for buyers. You also can cancel the deal. But the accumulated amount of your sales will be decreased on the doubled price of the thing that has not been transferred, it will slightly increase the sum of service fee for you. And also the counter of failed trades that can be seen by your future buyers will also increase its value. 8. Dispose your funds as you like. The money received from the sale of the items can be withdrawn in different payment systems. For this purpose there is a "Withdrawal" page in your account. Additional fee of 5% is being charged if you make withdraw order. You can use your money to buy items from other sellers – there are no additional fees for that. Also you have the opportunity to release a Gift card of SteamBroker.com. You can issue the card for any sum. The certificate is a 12-digit code, which can be sent to any user to be credited to your SteamBroker.com account. The sum on card can be used only in whole amount and cannot be subdivided into parts. You can pay off the card to your account. The fee for issuing the gift card will not be charged.